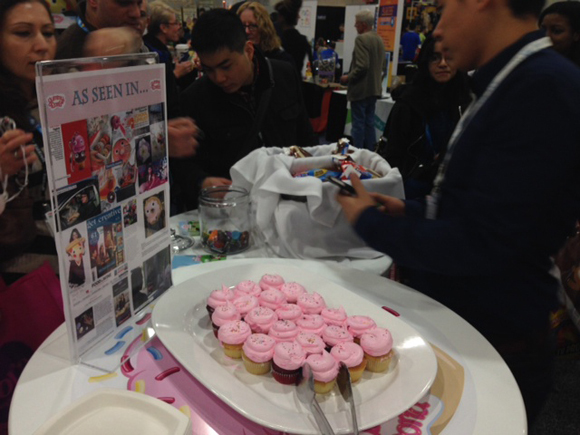 It is almost time to clear out the booth at Toy Fair 2014, and geez was this year Yummy! 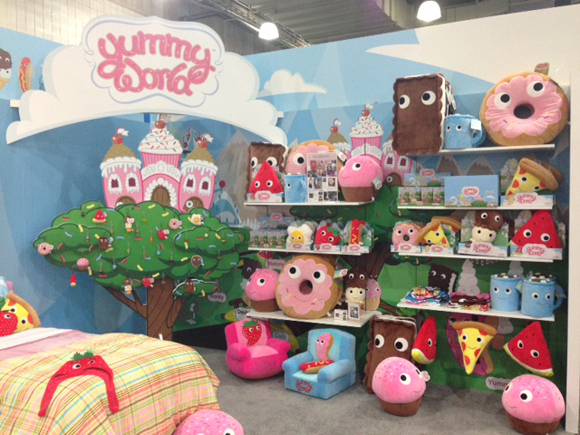 Yummy World got everyone salivating and sweetened up with their adorable plush world. 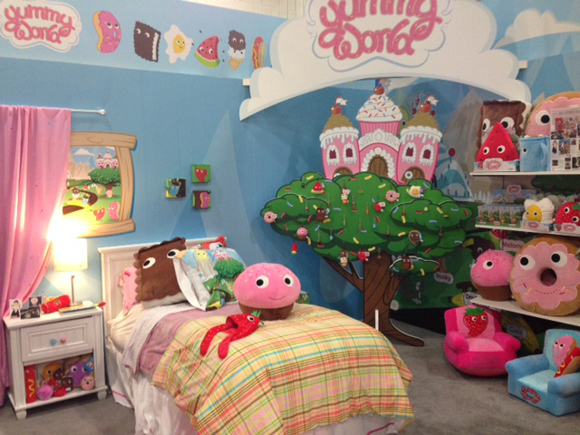 The booth was adorned with a faux bedroom setup for the ultimate sweet tooth, and to top it all off, we had sweets for all you fans to partake in. Everyone coming by got to see giant plush cupcakes with adorable eyes and sample some mini cupcakes for their tastebuds. Strawberry chairs for the little ones to sit in and chocolate covered strawberries for to you to devour. 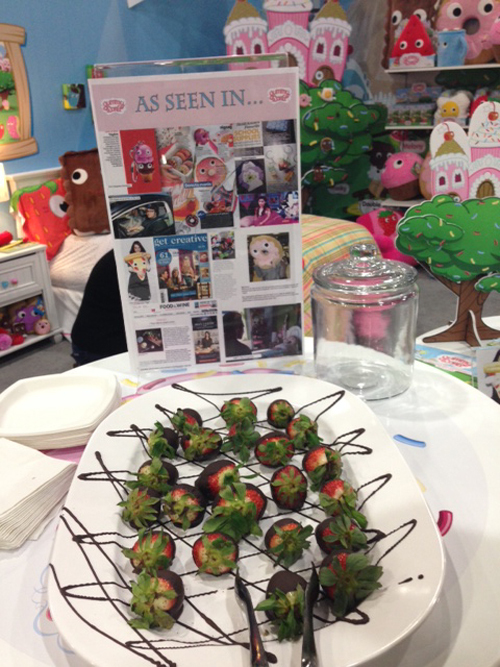 What a great and Yummy Toy Fair it was. Check out the new Yummy World site and meet all of the Yummy World Gang here. Now get ready to be even hungrier with more pics from Toy Fair.